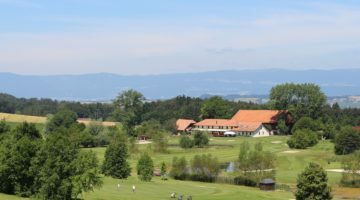 Pont-la-Ville, set on the side of the winding banks of the Lake of Gruyère, is where you will find the distinctive 18-hole Golf de la Gruyère course. Here you can pause to take in a breathtaking panorama extending over the lake towards the alpine foothills. 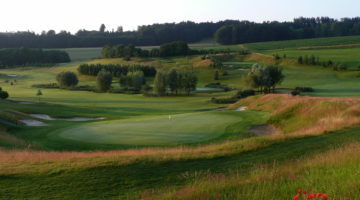 The unique atmosphere of the area is the perfect setting for pure golfing pleasure and relaxation. The course is rather short and doesn’t require enormous effort but you’ll still need to watch for some rather tricky situations. 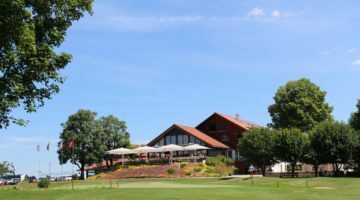 If you want to play golf on a delightful lakeside with stunning views or just enjoy a relaxing spa day, visit the Golf Resort la Gruyère. Driving range, practise bunker, pitching area, putting green.